the advancements of retailers from both a data and technology perspective. Over the past few years, I have had the privilege of personally training many sales organizations on how to improve their approach and have documented three steps here, including barriers, analyzing data, and building the presentation. What’s the biggest barrier to becoming a fact-based sales organization? I often hear that it’s the sales team’s unwillingness to change their approach – they’re older, super busy hitting quotas, and stuck in their ways, etc. After all, you provide them with data, maybe even give them access to a few data sources, train them on how to pull data, and then load them up with shopper insights – but they still don’t use one or more of the above! INSIGHT: It may be your internal approach and lack of internal alignment that is the biggest barrier to moving to a more strategic, fact-based selling approach. Understand and analyze data in ways that identify category growth opportunities for the retailer — difficult to do without access to the data and/or the training to draw insights from each data source. Create compelling, fact-based presentations that tell the story to their retailer — nearly impossible unless your sales people are knowledgeable about both their retailer’s categories and Shoppers. Sales people need to be data savvy, understanding the key data sources available and what they can derive from them, and identifying growth opportunities in their business and their Retailer’s categories. No longer can they rely on their category development team to pull data and put together category reviews for them. Most presentations today continue to talk conceptually about the Shopper, but have limited or no data as it relates to the retailer and their Shopper – even though many organizations purchase and have that data available. Retailers are more heavily relying on suppliers who can add value and provide insights to help them grow their overall business. By focusing on growth opportunities for the retailer’s category (vs on your own brand opportunities), and then translating these into strategies that tie in with action, you’re adding value to your customers. Limited access to the data. Sometimes driven by a limited number of licenses for the data mining tool or limited resources in the category management team to pull data. I find this particularly with panel data, demographics, Shopper insights and Spectra and in many cases, there’s not even an awareness that this data is purchased or available in the organization. Silos in the organization. Marketing may own Shopper Insights but fail to consider the turn brand Shopper insights into category insights that can add value to the retailer conversation. Limited resources in Category Management. Many organizations rely too much on their category management team to pull and mine data which dedicates their work days to administrative work (rather than strategic) of both report and presentation development. However, many organizations are starting to realize the importance of moving away from their traditional, relationship-based sales role to one that is consultative and fact-based. This strategic shift most often begins by training sales organizations on data and analytics. 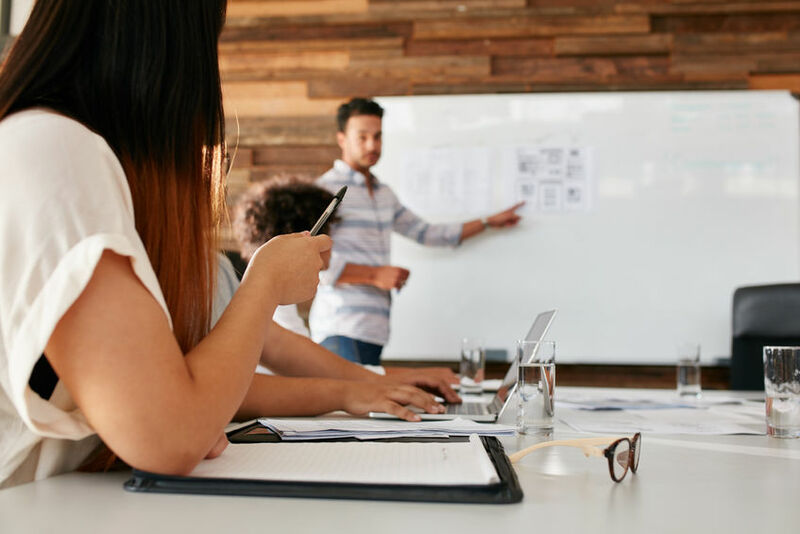 These skills can be improved across sales, marketing and category management teams and result in the ability to create engaging and fact-based presentations with logic and flow that focus on opportunities for the Buyer (either internal or external). Clarify the Situation. Begin by making sure your presentation has a purpose that focuses on your Buyer and what’s in it for them — not you. Clear purpose creates the purpose, or reason, for the presentation. Create Logic & Flow. Create a uncomplicated structure for your presentation so it is easy to understand and considers your Buyer’s conditions, needs, limitations and opportunities. Incorporate a Fact-Based Approach. Use only relevant facts that support your presentation’s purpose. If facts or insights are not clearly related, don’t include them. Storyboard. Before you jump in and build your slides in PowerPoint, document the opportunity and idea by creating a storyboard. Then outline and order what information and facts you’ll include in your presentation. Design Your Slides. Create each slide with clear purpose and make it easy to understand, including only include the insights that are compelling for your audience. Evaluate when to use descriptive text versus graphs and limit pie and 3D charts. Each slide should maximize its limited “real estate”. The process above provide a glimpse of our live, in-person and online fact-based presentation and storytelling training. Organizations who invest in training their teams on this strategic and fact-based approach will learn the requirements for fact-based presentations to see the biggest returns on data investment, improved collaboration with their retail partners, and ultimately, improved sales results. To learn more about training your team or entire organization, visit Fact-Based Presentation and Storytelling Training page or contact us below.